There I was, toes over the edge of the shortest diving board. Bottom of the pool nowhere in sight. The instructor was right there. The other kids had already jumped and clearly survived. I was safe, but I couldn’t do it. I climbed back down the ladder, faked being sick the following week and dropped out the week after. Fear won. Being able to “feel the fear and do it anyway” is a necessary skill for growth in any area of our lives. The more we confront it, the less power it has. The fear starts to fade into the background and the excitement of learning and doing takes over. 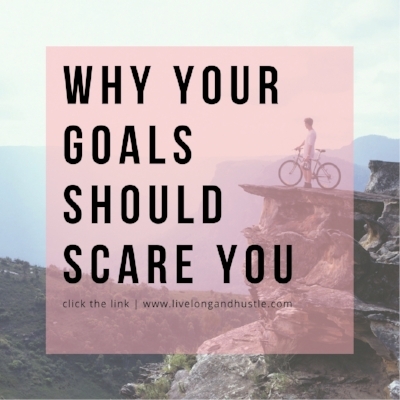 If our goals are big enough, they SHOULD scare us. That means we’re extending beyond our comfort zone. If we truly want to expand our boundaries and accomplish things we haven’t done before, then fear is a necessity. To be fearless is impossible. But what if we decided to fear less? It’s a practice. By confronting fear on a regular basis, we disarm it. We get used to the feeling of pushing past it and in doing so, we transcend our limits. We expand. This week, where can you feel the fear and do it anyway?